Can VLC convert FLAC to MP3? VLC is a popular Media Player for playing Video, Audio or Music files. Apart from that, you can also convert any audio file format into MP3. Most of the Users, are not aware that VLC can be also used as an Audio Converter. Audio file formats such as FLAC can be easily converted into MP3 with ease. Moreover, it can easily extract audio from video files and convert it into MP3 format. Here you can have a look at the simple step by step tutorial on how to use VLC to convert FLAC to MP3. However, it is recommended to use a professional Audio converter like iSkysoft Video Converter Ultimate to convert FLAC files into MP3. VLC can play audio files, extract, audio or convert any audio/music file into another media format easily. One of its most popular file conversions, is FLAC to MP3 File conversions. Actually, FLAC and MP3 are both similar audio file formats. But when it comes to popularity, MP3 is the most preferred format to listen to music anywhere you want. 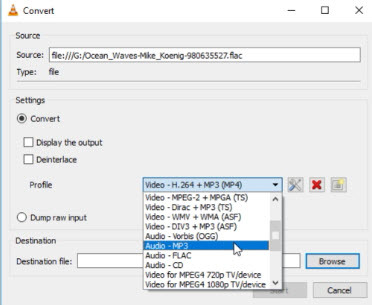 By Following this step-by-step tutorial, you can convert FLAC files into MP3 using VLC media player. Step 1: Launch VLC Media Player and select "Media" from the Home menu. Under "Media" tab, select "Convert/Save". Step 2: Add FLAC Files. You can add more FLAC Files if needed. Select ‘Convert/Save’ button at the bottom of the ‘Open Media’ window. Step 3: Choose Audio-MP3 as output format. Another dialog box settings will open when you select "Convert/Save" button. Under settings, select "Convert" option. In that, you need to select MP3 as output format from the Media Profile list. After that, choose a destination file by selecting the "Browse" option. However, most of the time users have faced issues such as ‘unresponsive program’ after the conversion. That’s why it is important to use a professional Audio converter. iSkysoft Video Converter Ultimate can perform amazing tasks beyond simple audio conversions. It can easily play FLAC audio files in its in-built Media Player, enhance the audio file and then convert it into MP3 file format with ease. You can also record any audio file and then convert it into MP3. Audio or Music files can be downloaded from the Internet and then you can convert it into any suitable audio file format like MP3. It is one of the best and reliable audio converters which converts with 90 times faster speed with no compromise in Audio quality. You can also convert any lengthy FLAC audio file into MP3 within seconds. It is recommended by many professionals as it can provide fastest conversions with original quality (macOS 10.14 Mojave supported). Download any Music files and convert into MP3. Convert, download, burn or play audio files easily. 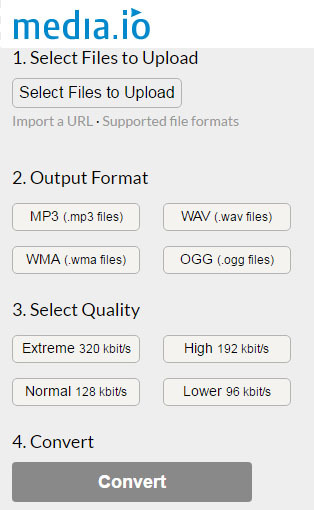 Supports wide range of audio file formats such as AC3, AAC, MP3, FLAC, M4A, MKA, OGG, WAV, APE etc. Download any music file and convert into any media file. 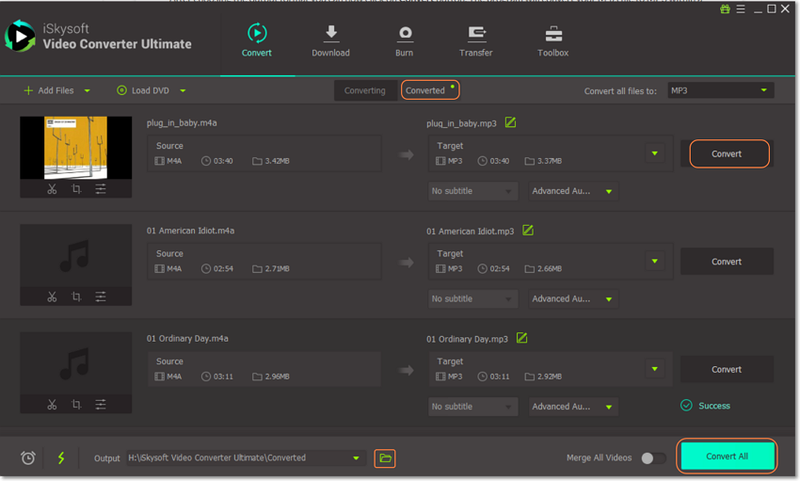 Edit or enhance audio settings by choosing Encode settings, Bitrate, Channel settings, etc. Ensures compatibility with any portable device. 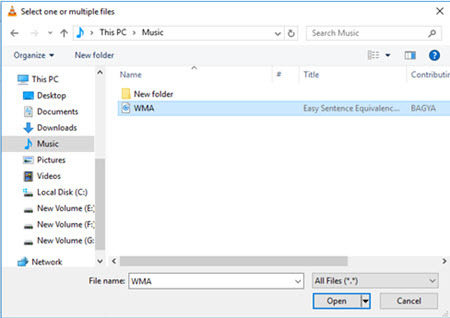 Extract Audio/Music files and then convert them into MP3 within seconds. Step 1: Upload FLAC Audio files. Import FLAC audio files into the converter. Add FLAC audio files by using the drag and drop method. 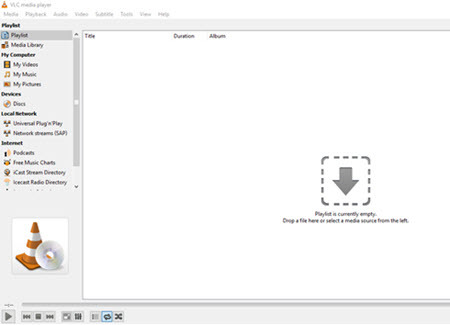 You can also load FLAC files directly from your computer, DVD or device. Step 2: Choose MP3 format from Audio presets. Select MP3 from the Audio Category. 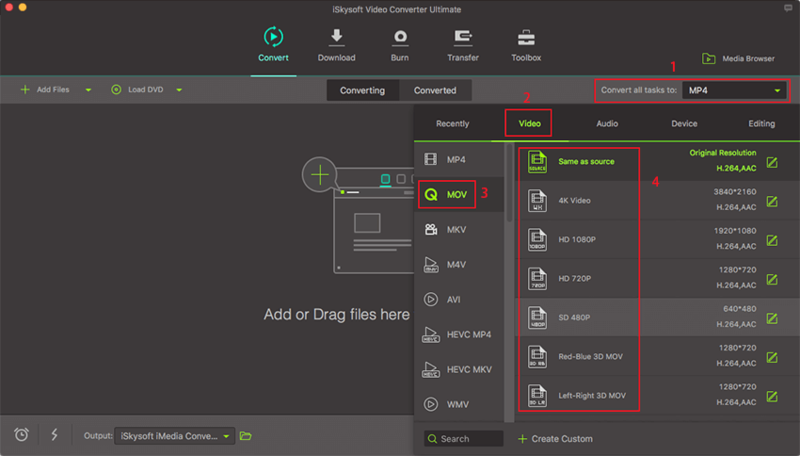 iSkysoft Video Converter Ultimate supports 3 different categories to choose from. Similarly, you can choose any other audio format as per your requirement. Step 3: Initiate FLAC to MP3 Conversion. Choose any folder/file destination, so that your converted MP3 file is saved properly. Users can also choose to create new folder or use a default folder as per their requirement. 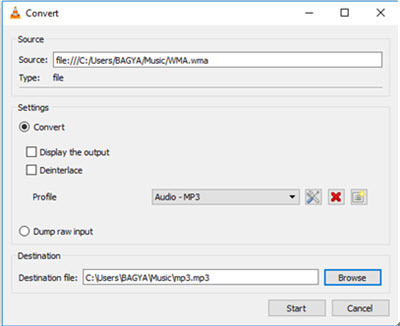 Complete FLAC to MP3 conversion by clicking "Convert" button. VLC is a common platform, where we can play, convert or save any Audio/Video files easily. However, it is a very simple program which lacks many essential features. 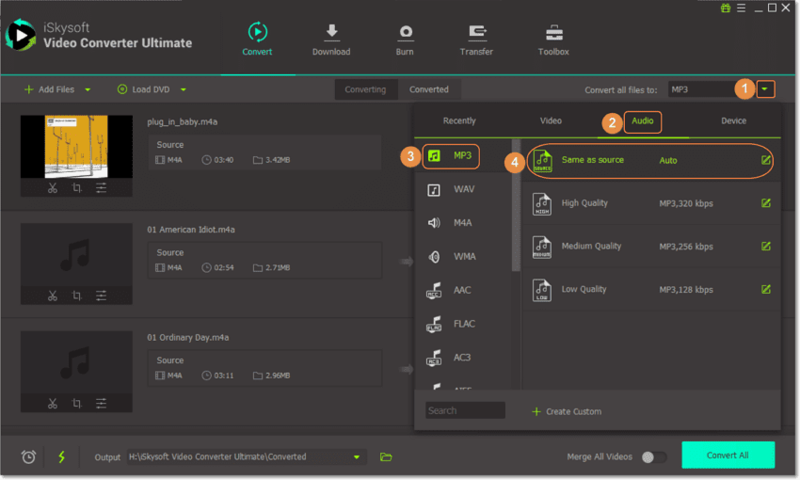 If you are looking for a reliable and efficient Audio converter, then iSkysoft Video Converter Ultimate is the best solution. For conversion of FLAC to MP3 file, you should find a stable and professional converter which can be used as an editor as well as audio converter for more convenience. 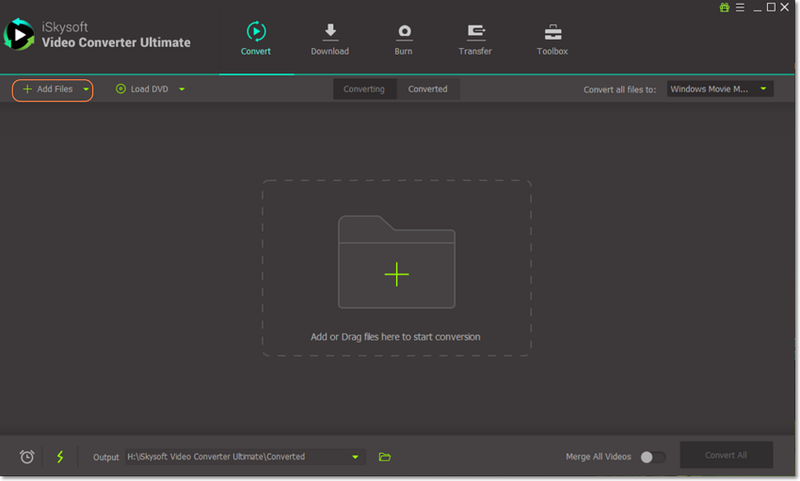 That’s why, iSkysoft Video Converter Ultimate is an ultimate audio converter and editor which works like a charm for any type of audio conversions.